I returned from the States last week from a two week trip. 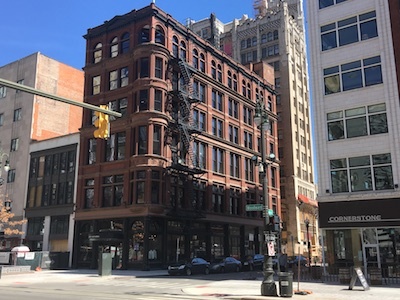 This included my first visit to Detroit for APR’s annual conference. 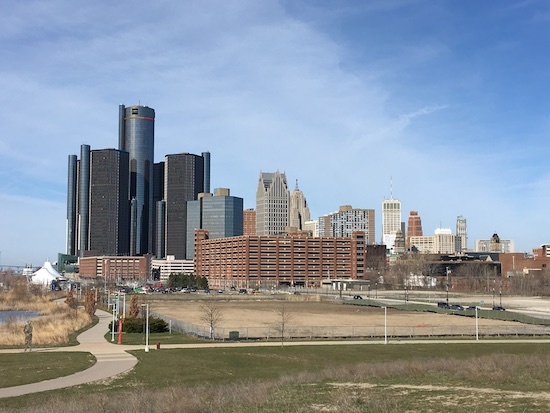 I’d heard from various American friends how Detroit was going through a renaissance following a brutal period of economic collapse, bankruptcy and population decline. 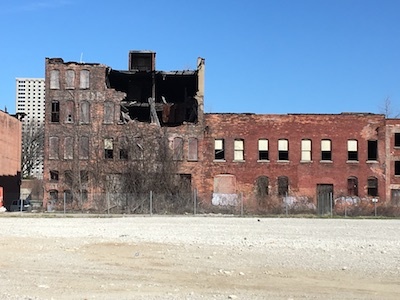 Some spoke of whole neighbourhoods having been abandoned and subsequently attracting an influx of creative artists priced out of other US cities such as New York or Chicago. What I found was a resilient city being reborn, proudly determined to re-establish itself. I had some free time before the conference kicked off to explore the Detroit Riverwalk which faces the Canadian city of Windsor across the Detroit River. 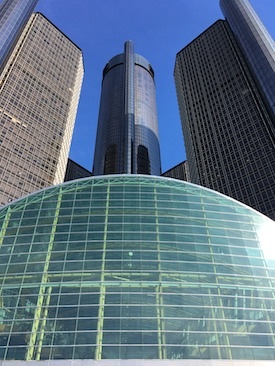 It’s home of the impressive global HQ of General Motors whose tall towers dominate the skyline. Walking away from GM, you can see some of the empty lots just outside Downtown. Just beyond this, an example of a couple of warehouses that have yet to be redeveloped, the last derelict buildings in a neighbourhood of many new houses. However, further from the centre, you truly appreciate the devastation caused by the collapse of the auto industry. Heading out along Michigan Avenue one evening, I spotted many abandoned lots many of which had returned to grass fields – It reminded me of Talking Heads’ “Nothing But Flowers”. The various Uber drivers I spoke to told me that many derelict buildings had been pulled down to prevent them becoming home to “undesirables”. Back Downtown, the urban landscape is more impressive including this 6 storey building which reminded me of New York with its external fire escape. 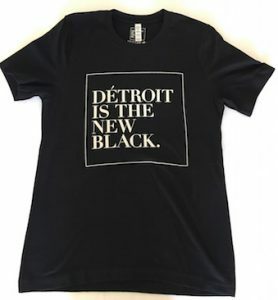 I particularly liked the fashion store Detroit Is The New Blackwhich epitomises the entrepreneurial spirit of the city’s rebirth. I bought this T shirt. 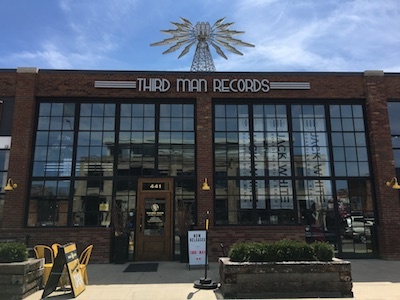 Out on Cass Corridor, I found Jack White’s Third Man Records which includes its very own vinyl pressing plant at the back of the store. I bought some merch for a dear friend who’s a big JW fan. The store includes a performance area which allows Third Man acts to play live and record direct to vinyl. Very innovative. Although Detroit lacks the grandeur of Chicago and the electric intensity of New York, it’s a city worth visiting. It’s also incredibly good value for property so an interesting option for relocation. It’s inspiring to see a city come back from the brink of disaster and reassert itself. I definitely plan to return, not only to visit Hitsville USA, home of the legendary Motown label which was closed on my free days. I expect the burgeoning renaissance to have recolonised the abandoned lots with many more new homes and businesses by then.